Last week at my first ICANN meeting as regional Vice President for Latin America and the Caribbean, I was proud that all my ICANN colleagues converged on Costa Rica and were able to see for themselves why I love the Latin American and Caribbean region. Besides the friendly people, great food, wonderful climate and natural beauty, there is also a thriving, dedicated Internet community. One such organization deserves special recognition: LACTLD, the Latin American and Caribbean Top-Level Domain Organization. From 8 to 10 March, just overlapping the ICANN 43 meeting in Costa Rica, LACTLD held its Economic Affairs Workshop. More than 15 ccTLD managers from the region attended the workshop and were able to join the ccNSO activities. Affiliate members, which are any ccTLD outside the Latin American and Caribbean region, as well as any gTLD with particular ties with the region. 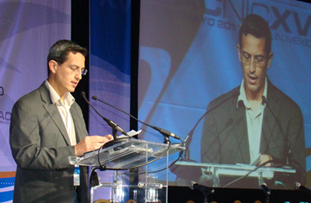 LACTLD is one of the first regional organizations to be represented in ICANN. Its objective is to represent the region´s TLD interest in global policy-making fora. Since its creation, it has organized dozens of workshops all over the region with primary focus on DNS operations. In the next two months, LACTLD has workshops and conferences coming up in Bogota and Cartagena, Colombia; Ecuador; and Argentina, with more coming later this year in El Salvador, Uruguay, and elsewhere. LACTLD is also joining in next week at the first Brazilian forum on computer emergency response for organizations during disasters and accidents. ICANN recognizes the vital job that LACTLD and its membership do in the region. I hope youll join me in applauding their contribution toward maintaining a secure, stable, globally interoperable Internet.